Martin O’Neill said he knows Ireland’s opponent Nicklas Bendtner has the potential to be “unplayable” for their 2018 World Cup play-off against Denmark in Copenhagen on Saturday - but only if he “sets his mind to it”. O’Neill was the 29-year-old’s manager at Sunderland in 2011-12, and spoke of how he helped keep the club in the Premier League with one supreme goalscoring performance in a 1-0 win over Liverpool that season, but also referenced his frustration with a striker who didn’t always seem fully focused. 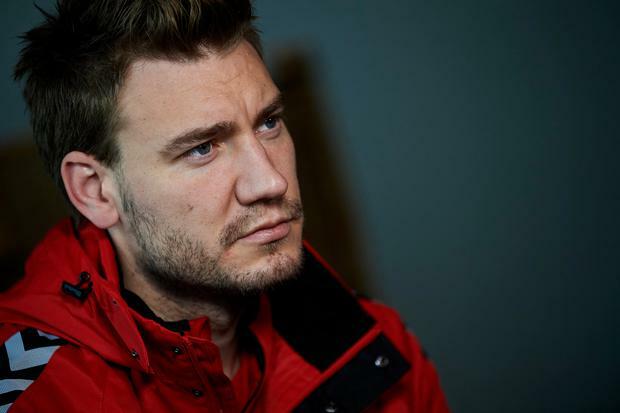 Bendtner is back in fine form for Rosenborg having hit 18 goals in 27 league games this year, and O’Neill is wary of what he can do in this seismic play-off. “With Nicklas, very interesting,” the Irish boss first joked. “As only Nicklas can be. Yeah he was on loan from Arsenal and obviously a good footballer, a really good player, and when he set his mind to it he was excellent. He had to set his mind to it.